In fact, the Uttar Pradesh government is eyeing private investment to the tune of Rs 1,600 crore in three defunct cooperative sector mills. While, a portion of the land belonging to the Gorakhpur unit would be handed over to the IOC for setting up a modern ethanol plant, two other cooperative sugar mills at Pilibhit and Ballia districts would be handed over to private players, after bidding, for establishing modern sugar complexes with investment of Rs 400 crore each, thus totalling Rs 800 crore. In October 2018, the state government had approved the transfer of 50 acre land to IOC against differential rent spread over 30 year lease duration. However, the proposed 5% lease rent on prevailing circle rate was deemed steep by the IOC, which urged for its downward revision. In January, the state cabinet had then approved the proposal of slashing the lease rent by 50% from 5% to 2.5% against applicable circle rate. In the recent state cabinet meeting, the state government has now approved the proposal of transferring 50 acre land to the IOC on the new lease rent terms, which would fetch the exchequer Rs 65 lakh per annum. Earlier, the cooperative mill board had also cleared the new proposal, following which it was placed before the cabinet for final vetting. On the expiry of 30 year lease, IOC would hand over the plant to the state sugar federation on ‘As is, Where is’ and ‘On Going Concern’ basis without any debt/payout liability. IOC would set up a second generation ethanol plant, which forms the part of the larger roadmap of the union petroleum ministry for ramping up sugarcane-extracted ethanol value chain. This would not only prune oil import bill, but also facilitate remunerative prices to the sugarcane farmers. 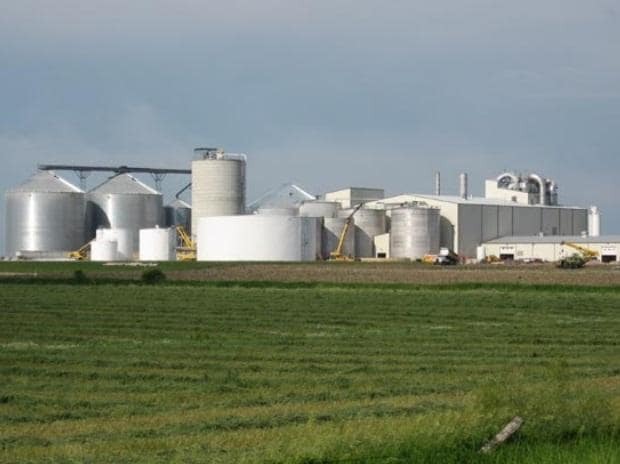 The second generation ethanol units employ latest technology to produce biofuels from farm residue, including sugarcane byproducts for mixing in fuel. In contrast, the first generation plants extract biofuels directly from sugar and vegetable oils through conventional technology. Meanwhile, private players would also be roped in for turning around defunct cooperative sugar mills in Pilibhit and Ballia districts. The selected company would set up integrated sugar complexes comprising sugar, cogeneration and distillery units for a more viable operational roadmap due to sugar glut and piling inventories. Each unit is expected to generate 8,500 fresh job opportunities in their vicinity, while benefitting 8,000 local sugarcane farmers.